Add a little color to your office! 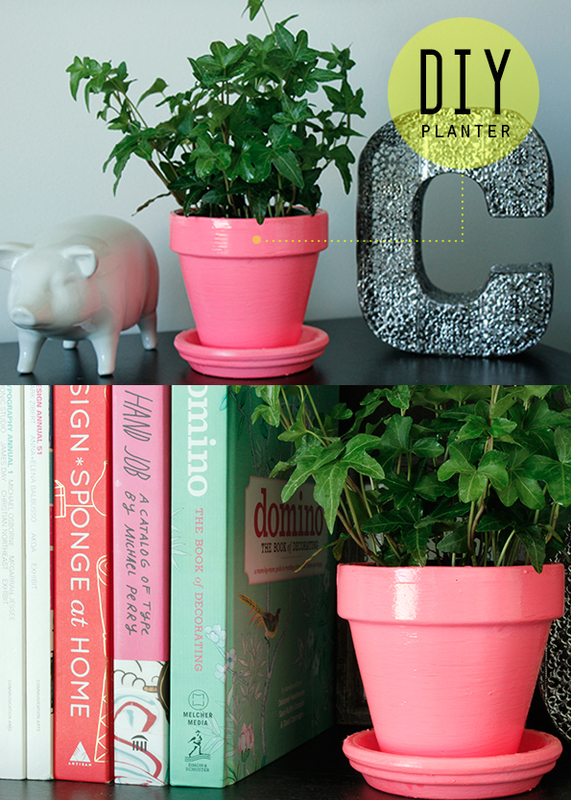 I made this little planter for my desk to make my day inside a little greener. 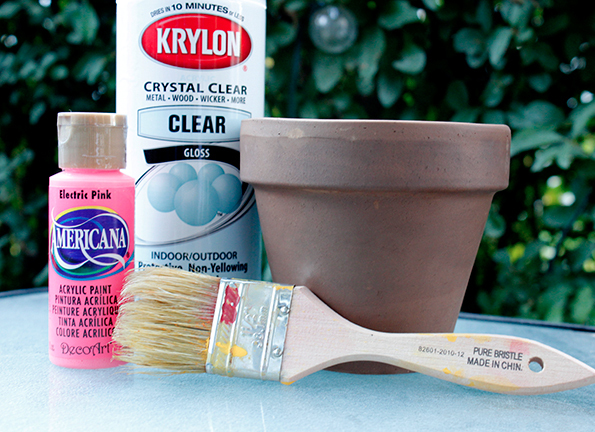 All you need is a pot, a fun color, paint brush and clear gloss spray paint! I painted on two coats of this Electric Pink paint (a color I am obsessed with!) onto the pot. I let it dry for about 2 hours and then applied the gloss coat! Found a plant for it and done! If anyone tries this leave a comment and photo! Happy Crafting.